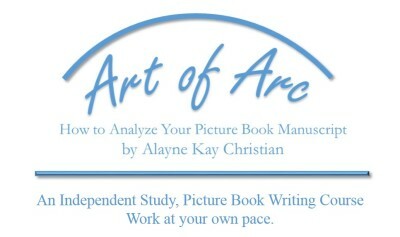 ART OF ARC: How to Analyze Your Picture Book Manuscript is an independent study, picture book writing course. It includes 217 pages with ten lessons, seventeen supplements, and eighteen worksheets. Plus bonus materials and resources. Many courses are taught using the classic arc, but to my knowledge, none of them go into the detail that this course provides. All ART OF ARC beta students who completed the course reported they had learned things that they had not learned in previous courses. In addition, they affirmed that the course shed light on (or enhanced) their understanding of previous coursework. The focus of this course is the story telling structure that uses a classic arc. BUT it also includes other common issues that I've found in the hundreds of manuscripts I’ve critiqued over the years. The reason I've created a course that focuses on the classic arc is because 90% of the stories I critique are built around that structure. Many successful published picture books are built around an arc on some level. It is the number one structure in picture books. Therefore, I believe this course fulfills a need that has not been available until now. Many courses are taught using the classic arc, but none go into the detail that this course provides. WHY STUDY STORY AND CHARACTER ARCS? Most stories have some sort of arc. Many successful picture books are built around an arc. Understanding story and character arcs will help give your story order and the tension that will energize it from the beginning to the end. This energy will not only drive your protagonist forward – it will also drive readers to turn pages and keep reading. The purpose of this course is to deepen your understanding of picture books written with a classic arc and to introduce you to many other picture books structures. The course also addresses a number of common issues I have found in the manuscripts I critique. PLUS A BONUS! Alayne offers deeply discounted critiques to Art of Arc students and alumni. Only $49.00 instead of $79.00. FOR MORE DETAILED INFORMATION AND TESTIMONIALS MORE CLICK HERE.